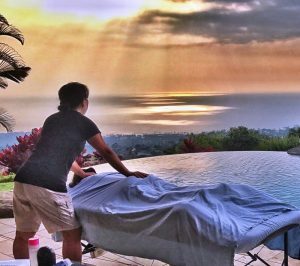 Room Service Massage … massage provided on location (we come to you) … is now available in Waikoloa Hawaii. One of the problems in the Waikoloa area is that you are limited to either expensive resort/hotel spa options or have to drive 45 minutes or more for a more reasonably priced massage. 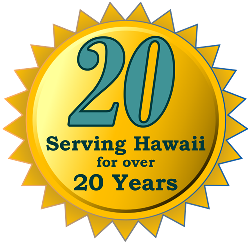 If you staying in the Waikoloa Beach Resort area, the Mauna Lani Resort Area, Mauna Kea Resort Area or other houses and condos along the South Kohala Coast; you now have another option. Our licensed massage therapists (LMT) come to your condo, house or hotel room to provide you with a relaxing therapeutic massage. We bring the massage table, sheets and oils to you so that once you are pampered and relaxed you don’t have to leave your room until you are ready. There are no extra travel charges and you will traditionally spend less than you would at the hotels and resorts in Waikoloa yet, again, you don’t need to go anywhere as we come to you. After all, if you rented a luxurious condo, home or hotel room, why leave more often than you need to. Save your outings for snorkeling, hiking, the beach and golf. Then, when tired or tight muscles threaten to ruin your stay in Hawaii, return to your room, call Tiare Massage and a licensed therapist will arrive to get the kinks out making your stay that much nicer. Scheduling an appointment with our LMT’s is easy. Beth was amazing! I got the hot stone massage and it was truly relaxing, healing and rejuvenating. Beth came with everything she needed, was on-time, was very professional and just an overall nice person. Huge fan of Tiare and will definitely call them back when I'm on the Big Island. Tiare is nothing if not professional. The booking process was easy and Beth shows up every time ready to respond to whatever particular aches and pains we may be experiencing in the moment with her practiced touch. I can't recommend them highly enough. We come back to them every year. Ashley is truly an artistic with body care, fluid, with connected strength. Felt very nourished and relaxed.